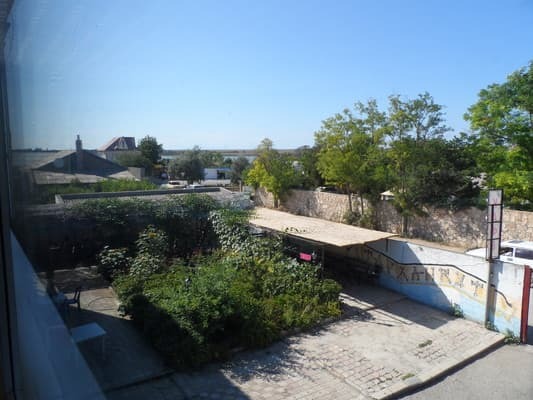 The boarding house "Musson" is located on the Black Sea coast in the center of the resort village of Olenevka in the alignment of the bay of Karadzha. Hotel "Musson" is located 700 m from the beach area, where a beautiful sandy beach with amazingly clear and clean water and a convenient entrance to the sea for children. A great coastal strip, ecological cleanness and remoteness from big cities allows to really enjoy the sea and rest. The hotel has 22 cozy rooms that include all amenities, the rooms have all the necessary furniture, around the clock cold and hot water. Wi-Fi access is available, and free parking is available. Hotel "Musson" provides three meals a day in a canteen. 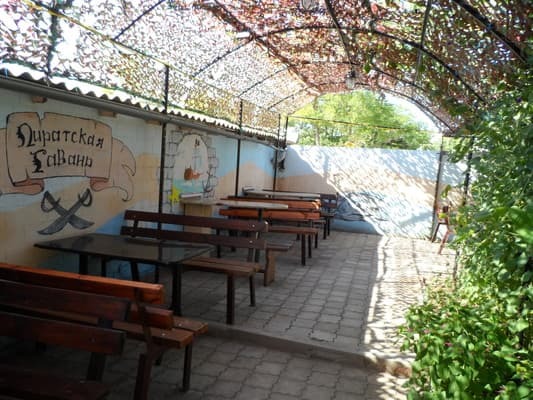 Also on the territory of the boarding house is a summer cafe with dishes of European cuisine and seafood. 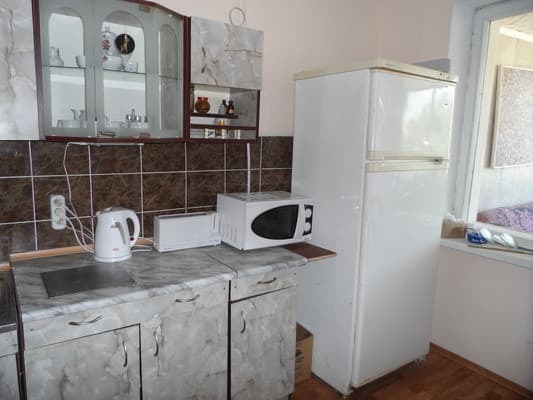 On the floor there is a kitchenette for self-cooking, equipped with all necessary equipment and utensils. At the request of the guests there is an opportunity to organize spectacular excursions to the natural reserve Atlesh and the famous Bowl of Love on Cape Tarhankut. PRICES MAY CHANGE, YOU NEED TO RECEIVE INFORMATION FROM THE OPERATOR! 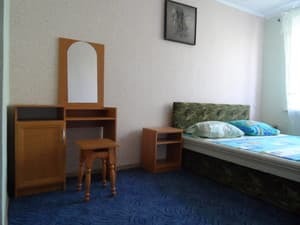 Description of the room: Double room with the area of ​​14 square meters, is equipped with necessary furniture: beds, bedside tables, wardrobe, hangers, table, chairs. The room is located on the first floor with windows in the shaded garden. Description of the room: The room consists of 2 rooms (12 and 18 sq.m). All rooms with separate single beds, constant cold, hot water, wardrobe, table, chairs, bedside tables. Room is equipped with a fan. In the hall and rest room - satellite TV, refrigerator. 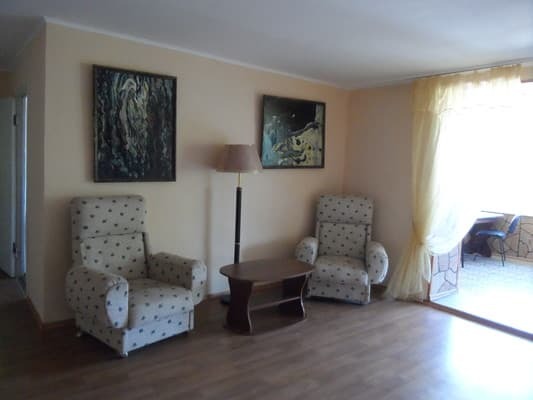 Description of the room: The family room consists of 2 rooms (12 and 18 sq.m). In the bedroom there is a double bed, bedside tables, a mirror with a mirror. In the second room there is a fold-out double sofa, an armchair, which also unfolds. In the room constant cold, hot water, furniture (wardrobe, table, chairs, bedside tables). 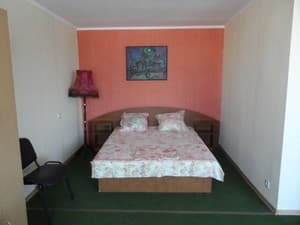 Description of the room: The room is a spacious studio room (32 sq.m.). The room has a double bed, sofa bed, upholstered furniture, constant cold, hot water. The room can accommodate up to 3 people. 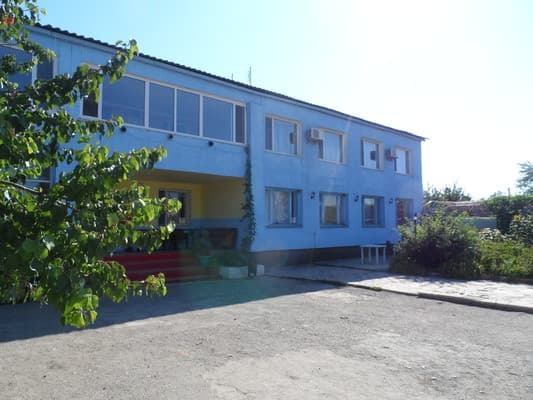 The boarding house "Musson" is located on the Black Sea coast in the center of the resort village of Olenevka in the alignment of the bay of Karadzha. Distance from the beach area is 700 m.